Residents of Alexandria County had expected the federal capital's location to result in higher land prices and the growth of commerce. Instead the county found itself struggling to compete with the Chesapeake and Ohio Canal at the port of Georgetown, which was farther inland and on the northern side of the Potomac River next to the city of Washington. Members of Congress from other areas of Virginia also used their power to prohibit funding for projects, such as the Alexandria Canal, which would have increased competition with their home districts. 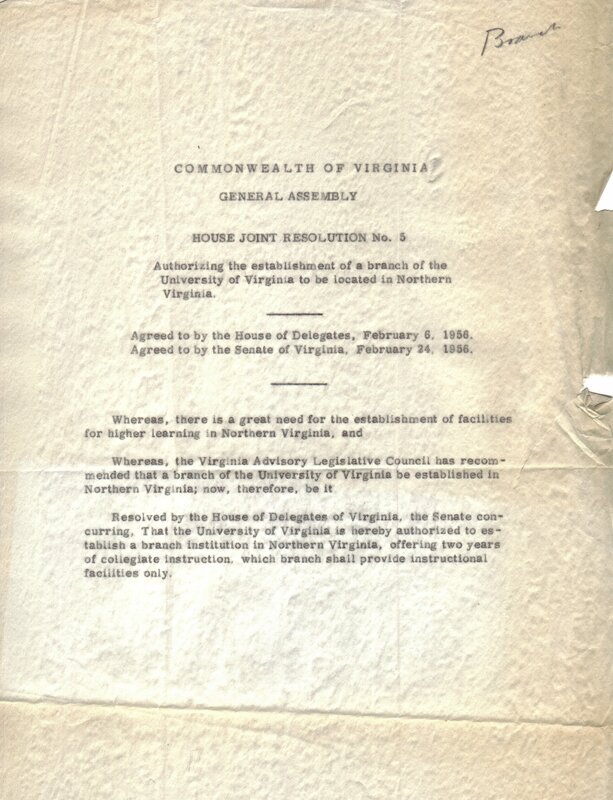 In addition, Congress had prohibited the federal government from establishing any offices in Alexandria, which made the county less important to the functioning of the national government. Crystal City is an urban neighborhood in the southeastern corner of Arlington County, Virginia, south of downtown Washington, D.C. Due to its extensive integration of office buildings and residential high-rise buildings using underground corridors, travel between stores, offices, and residences is possible without going above ground; thus, a large part of Crystal City is an underground city. Crystal City includes offices of numerous defense contractors, the United States Department of Labor, the United States Marshals Service and many satellite offices for The Pentagon. It is also the location of Ronald Reagan Washington National Airport. Donaldson Run is a stream in Arlington County, Virginia. From its source near Marymount University, Donaldson Run flows on a northeastern course and empties into the Potomac River within the Federal parklands of the George Washington Memorial Parkway. Donaldson Run is surrounded predominantly by forests. Fashion Centre at Pentagon City, also known as Pentagon City Mall, is a shopping mall in Arlington, Virginia. It is situated in the Pentagon City neighborhood near Interstate 395 and Hayes Street. The mall takes its logo from the architectural design of Washington Tower. Its Metro level is directly connected to the Pentagon City station on the Blue and Yellow Lines of the Washington Metro. Completed in October 1989, the Fashion Centre is the largest enclosed shopping mall in Arlington, housing 164 retailers and restaurants. It is anchored by department stores Macy's and Nordstrom, and is directly connected to the Ritz-Carlton Pentagon City hotel. Gulf Branch is a stream in Arlington County, Virginia. From its source southwest of the Gulf Branch Nature Center, Gulf Branch flows on a northeastern course and empties into the Potomac River within the Federal parklands of the George Washington Memorial Parkway. Gulf Branch is surrounded predominantly by forests. The United States Marine Corps War Memorial (Iwo Jima Memorial) is a national memorial located in Arlington County, Virginia, in the United States. Dedicated in 1954, it is located in Arlington Ridge Park with George Washington Memorial Parkway, near the Ord-Weitzel Gate to Arlington National Cemetery and the Netherlands Carillon. The war memorial is dedicated to all U.S. Marine Corps personnel who died in the defense of the United States since 1775. The memorial was inspired by the iconic 1945 photograph of six Marines raising a U.S. flag atop Mount Suribachi during the Battle of Iwo Jima in World War II. It was taken by Associated Press combat photographer Joe Rosenthal. Upon first seeing the photograph, sculptor Felix de Weldon created a maquette for a sculpture based on the photo in a single weekend at Patuxent River Naval Air Station in Maryland, where he was serving in the Navy. He and architect Horace W. Peaslee designed the memorial. Their proposal was presented to Congress, but funding was not possible during the war. In 1947, a federal foundation was established to raise funds for the memorial. There are five middle schools in Arlington County, Virginia, administered by Arlington Public Schools. This is a list of the National Register of Historic Places listings in Arlington County, Virginia. This is intended to be a complete list of the properties and districts on the National Register of Historic Places in Arlington County, Virginia, United States. The locations of National Register properties and districts for which the latitude and longitude coordinates are included below, may be seen in a Google map.There are 68 properties and districts listed on the National Register in the county, including 5 National Historic Landmarks. Pentagon Row is an upscale outdoor shopping and residential center with storefronts facing South Joyce Street. It is adjacent to the Fashion Centre at Pentagon City. It is noted as being one of the contributing factors to the failure of the nearby Landmark Mall. Pimmit Run is a 7.8-mile-long (12.6 km) stream in northern Virginia that runs from Fairfax County to the Potomac River at Chain Bridge in the Arlingwood neighborhood of Arlington. Richard A. Lowry (; born August 22, 1968) is an American writer and the editor of National Review, an American conservative news and opinion magazine. He is also a syndicated columnist, author, and political pundit. Spout Run is a small stream in Arlington County, Virginia. From its source along Interstate 66, Spout Run flows on a northeastern course paralleling the Spout Run Parkway through a gorge and empties into the Potomac River opposite the Three Sisters. With the exception of the adjacent parkway, Spout Run is surrounded predominantly by forests. In the 1950s the second branch of Spout Run was culverted under Kirkwood Road. The source for this branch was near Washington Boulevard. Originally the branch was called Breckin's Branch, named for the Reverend James Breckin. Later it became known as Ball's Branch, for the descendants of Moses Ball. The Pentagon is the world's largest office building, with about 6,500,000 sq ft (600,000 m2) of space, of which 3,700,000 sq ft (340,000 m2) are used as offices. Some 23,000 military and civilian employees, and another 3,000 non-defense support personnel, work in the Pentagon. It has five sides, five floors above ground, two basement levels, and five ring corridors per floor with a total of 17.5 mi (28.2 km) of corridors. The central five-acre (20,000 m2) pentagonal plaza is nicknamed "ground zero" on the presumption that it would be a prime target in a nuclear war.On September 11, 2001, exactly 60 years after the building's construction began, American Airlines Flight 77 was hijacked and flown into the western side of the building, killing 189 people (59 victims and the five perpetrators on board the airliner, as well as 125 victims in the building), according to the 9/11 Commission Report. It was the first significant foreign attack on Washington's governmental facilities since the city was burned by the British during the War of 1812. The United States Air Force Memorial honors the service of the personnel of the United States Air Force and its heritage organizations. The Memorial is located in Arlington County, Virginia, on the grounds of Fort Myer near The Pentagon, and adjacent to Arlington National Cemetery, towards intersection of Columbia Pike and South Joyce Street. It was the last project of American architect James Ingo Freed (known for the design of the United States Holocaust Memorial Museum) with the firm Pei Cobb Freed & Partners for the United States Air Force Memorial Foundation. Virginia's 47th House of Delegates district elects one of 100 seats in the Virginia House of Delegates, the lower house of the state's bicameral legislature. District 47 represents part of Arlington County. The seat is currently held by Patrick A. Hope. Virginia's 48th House of Delegates district elects one of 100 seats in the Virginia House of Delegates, the lower house of the state's bicameral legislature. District 48 represents parts of Arlington and Fairfax counties. The seat is currently held by Rip Sullivan. Virginia's 49th House of Delegates district elects one of the 100 members of the Virginia House of Delegates, the lower house of the state's bicameral legislature. The 49th district covers parts of Arlington and Fairfax counties.The seat is held by Democrat Alfonso H. Lopez. Windy Run is a small stream in Arlington County, Virginia. From its source near Lorcom Lane, Windy Run flows on a northeastern course and empties into the Potomac River within the Federal parklands of the George Washington Memorial Parkway. Windy Run is surrounded predominantly by forests. It is known by many of the Arlington locals as simply "The Falls".